Australia is one of the few places in the world where frequent flyer programs are as developed as in the U.S., particularly in terms of earning opportunities. With two primary homegrown airlines Virgin Australia and Qantas there is plenty of room for rivalry, and one of the easiest places to see this is in the airlines frequent flyer programs. Unlike other Virgin airlines, Virgin Australia is technically a budget carrier, but you wouldn’t know it from the awards its frequent flyer program consistently racks up. In the 2014 Freddie Awards the Oscars for frequent flying it swept best customer service, best promotion, best elite program, best redemption ability and program of the year in the Middle East, Asia and Oceania category. Frequent flyers love Virgin Australia because it pushes the envelope in terms of programming, such as its recent point conversion partnership with Singapore Airlines, an industry first for airlines not under co-ownership. It is also eager to adapt to customer feedback. In the past year alone it has widened availability for mileage upgrades and increased validity of lounge passes based on customer requests. Though it seems like the mileage between Australia and most other destinations would make it easier for flyers to rack up big miles, Virgin Australia pegs the number of miles earned for each flight to the amount spent, beginning at five points per dollar and rising for elite status holders. You can earn distance-based mileage with partners, though. 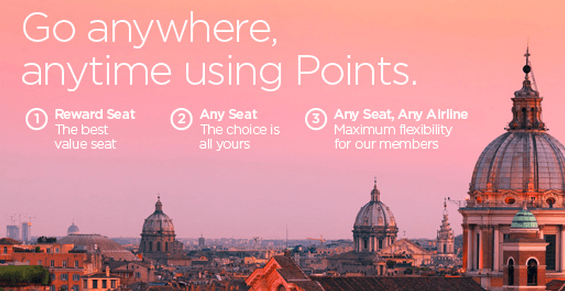 How Can You Use Virgin Australia Velocity Points? 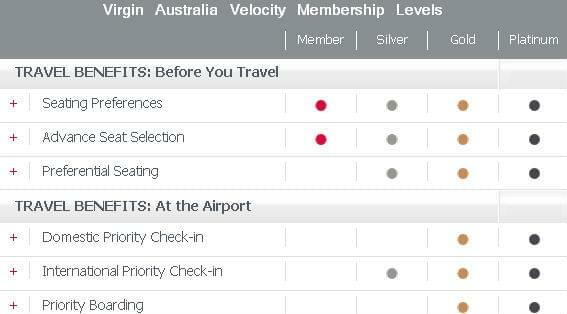 Virgin Australia Velocity points can be redeemed for four types of awards: economy, premium economy, business and first. Not all flights have these options, as the nomenclature varies by airline. The most expensive first redemption only applies to flights on Etihad, while Virgin Atlantic’s upper class and Delta and Virgin Americas first classes fall under business redemptions. Pricing for award tickets on Virgin Australia is subject to demand, and you can redeem points for any free seat on a flight, so the rates can vary broadly depending on when you book and how full the flight is. Virgin only publishes the lowest possible number of points required for each route. For award flights, Virgin Australia prices tickets based on the number of miles traveled on the itinerary, beginning with a 0-to-600-mile bucket for 6,900 points in economy on Virgin, Etihad, Delta and Air New Zealand’s Trans Tasman service, and 10,000 points on airberlin, Hawaiian Airlines, Singapore Airlines, SilkAir, and Air New Zealand’s remaining routes. Awards booked with Velocity points on Singapore Airlines adhere to two different award charts, one for flights between Singapore and Australia, and another for other Singapore routes. Virgin Australia offers the most award availability in business class between the U.S. and Australia, as well as the best routing. On Virgin flights, premium economy functions as business class, while the term business is used for the most forward cabin. Virgin Australia charges 70,500 each way for this route, if you manage to get an award in the lowest redemption bucket. Partner Delta starts at an additional 10,000 miles each way. Now that Virgin Australia and Singapore Airlines have started to allow members to transfer points between the two programs, it is foolish to book awards on Singapore with Virgin points. Velocity uses separate award charts for Singapore than its other partners, and both are extremely overpriced. If you want to book an award on Singapore, either convert your Velocity points over, or transfer directly to Singapore from Starwood. Velocity points can be used to upgrade a Saver or Flexi fare to business class on domestic flights, but only Flexi fares can be upgraded to premium economy or business on short-haul international flights. Only silver and platinum status holders can use points to upgrade long-haul international flights. Points required for upgrades depend on the distance traveled and begin at 10,000 points. Virgin Australia offers nine co-branded credit cards through banks in Australia, including three issued through American Express. No co-branded cards are currently available in North America.